When setting the backup options, the HDD writing speed or Network connection speed options may not be displayed. This is a know limitation with staging. 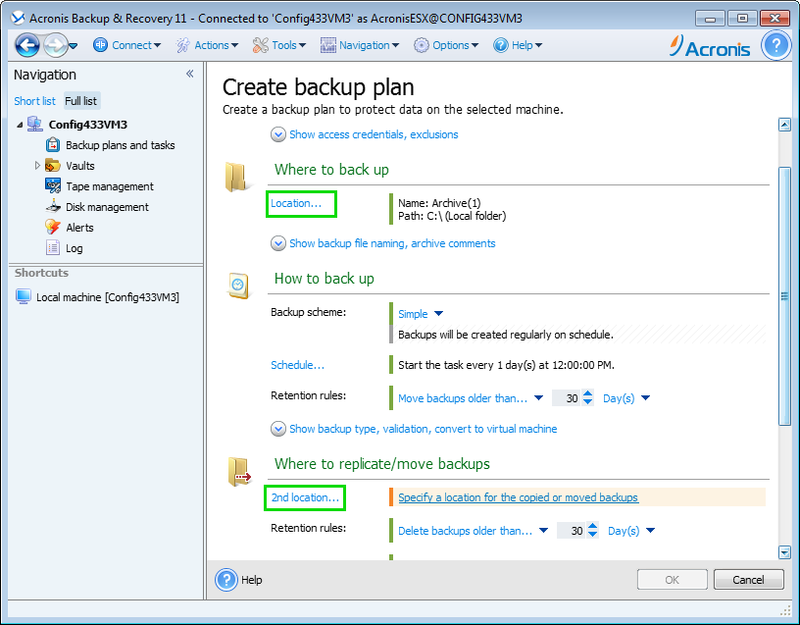 Backup options are displayed only for the first location. For example, if you select a local folder as the first backup location, you will be able to set HDD writing speed in the backup options. If you select a network share as the first backup location, you will be able to set Network connection speed in the backup options. As a workaround, you can set the necessary settings in default backup settings: Options -> Default backup and recovery options -> Default backup options. It is being considered to make GUI more flexible and show all possible speed limiting options in one of the future product updates.